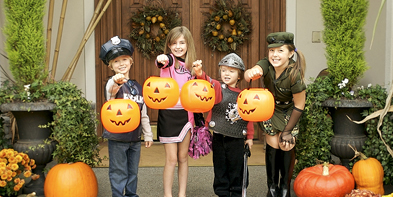 I write this blog post on October 30, and tomorrow is Halloween, when many kids go Trick or Treating. So, if I may use the Halloween metaphor, there are several writing "tricks" that, if you use them well, will "treat" your audience to a pleasurable reading experience. One of my favorite writing (and public speaking) tricks is "bouncing." "Bouncing" is simply stating a fact or principle, then giving a story, joke, or example to illustrate the principle. People usually forget the dry, abstract rule you teach...but they will remember the illustrative story or example. And if they remember the story--presto!--they will probably remember the idea behind it. (Dreyer, Scott and Liao, Posen. Write Like A Champion. Taipei, Taiwan: Jong Wen Books, 2008.) For more information about "bouncing," read more about it in our book, pages 154-155, in Step 5, "Use Some Glue." Below are two samples of "bouncing." One is in writing, and one in public speaking. Please note that MANY of what I call "writing tips" can also be used in public speaking and presentations! 2. the examples of bouncing I use, to try to make the topic understandable. Before words can come out of your mouth, the idea has to first form in your brain. So far so good. The problem comes when you try to speak in a foreign language, especially one you are still new at. In those cases, we tend to think up an idea in our mind, in our native language, and then translate it into the foreign language. This is where problems can happen. The normal method is to learn individual words in the new language, and then try to translate them directly. However, between languages, many ideas, words or phrases do not translate directly. Let me explain with some examples. When I was in 9th grade, I had my first real experience with foreign languages, in German I. I had learned that "happy" was "froelich," and "birthday" was "Geburtstag." So, quite impressed with my new German, I wished someone "Froelich Geburtstag." That was the direct translation, yes...but I was wrong. Germans do not say it that way. In German, the actual blessing is "Alles Gute zum Geburtstag." The German phrasing translates more like, "All the best for your birthday." Fast forward about ten years, and I was then in Taiwan learning Mandarin Chinese. Same story. I had been there for a few months and had been picking up some words and phrases. A friend's birthday was approaching, and I knew the word for happy was 快樂 (kuaile) and birthday was 生日 (shengri). So, quite ready to demonstrate how much Chinese I had learned, I smiled and wished her a hearty 快樂 生日 (kuaile shengri)! But instead of the smiles I thought I was sure to get for my "good Chinese," I got wide eyes and looks of shock. "Oh no, you can't say that! It's 生日 快樂 (shengri kuaile)." 1. Dry fact: Chinglish is a garbled combination of Chinese and English. What should be called a "Handicapped Restroom" was called "Deformed Man Toilet"! You cannot always directly translate from one language to another. For example, with first German and later Chinese, I learned the simple "Happy Birthday" cannot be directly translated word for word. In the case of Chinese, the word order is completely reversed. We will now shift gears and listen to a public speech by Chuck Swindoll. In fact, Swindoll is a Bible teacher, and a lesson like this that teaches Bible content is called a sermon. I realize that among my reading audience, I have people of different religions and no religion. By including a sermon I am not trying to force a religion on anyone. Still, I find this particular speaker a great communicator, and I think there are several tips we can learn from him. Swindoll speaks for about one minute, on how most people want to live meaningful, significant lives and make a difference for others. That is the "dry fact." 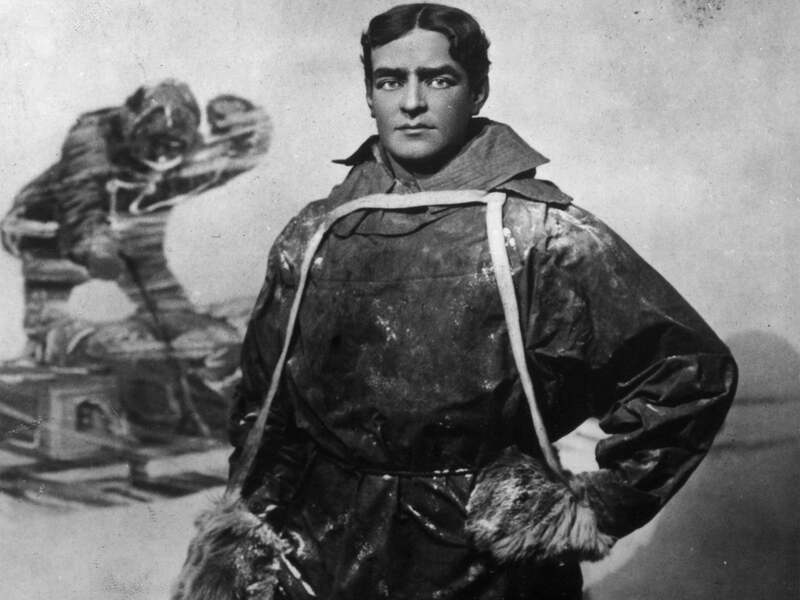 Then around 4:20, he "bounces" by going back to 1914, and the Polar expedition of Ernest Shackleton. Then around 6:30 in his message, Swindoll turns to the actual Bible passage he is teaching on: 2 Timothy 3:10-14. Swindoll has yet another helpful device. He introduces Shackelton in Part 1, as part of his introduction. Then he moves on to the "meat" of his message, the Bible scripture 2 Timothy about making a lasting difference. But in Part 2, at 17:08, he returns to Shackelton, this time as part of his conclusion. Swindoll explains how Shackleton's expedition failed to accomplish their its goal to reach the South Pole. However, his legacy for daring and curiosity lives on, inspiring others, as it inspired Sir Edmund Hillary to be the first to climb Mount Everest. You can learn more about Shackleton's amazing voyage from this video, or this book I highly recommend, Endurance. Endurance was both the name of Shackleton's ship, as well as the virtue that kept the men alive during their two-year-long harrowing nightmare. As we see from Swindoll's message, you do not have to "drop the whole load" at once, when you tell a story or give an illustration. You can do it that way, and that might be the clearest way. However, at times you might want to introduce a person or story early in your message, create suspese, make your main point, then return to your illustration near the end, where you share a surprise and wrap up your message. The late great radio man Paul Harvey was famous for this, with his "And that's the rest of the Story" program, which ran five days a week from World War II until 1976! He would introduce a topic or story, give lots of background information that seemed like lots of rabbit trails, then he would end by telling his audience whom he was talking about, some famous person. Do YOU want to improve your writing or communication skills in English? Join one of our WRITING CLASSES today! Contact Scott to find out how we can help you!